Water lilies at the Temple of the Tooth Relic. With a peaceful recovery in full swing, Sri Lanka’s temples, tea gardens, safaris, and surf breaks are ready for rediscovery. 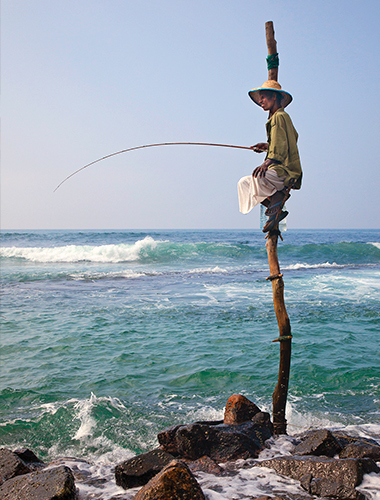 Sri Lanka is India without the hustle: beautiful, spiritual, and diverse. In one trip, you can explore mountains and activities such as biking and hiking, focus on culture with historic buildings and temples, and get in some great beach time. 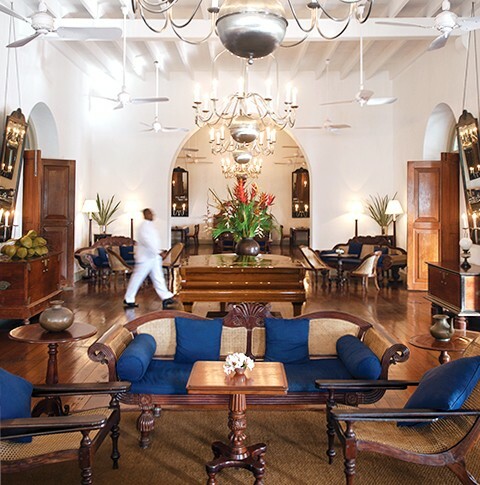 Go low-frills with guesthouses along the coast, or take the high road with Aman’s two beautiful resorts—one set inside Galle’s seventeenth-century fort and the other on the beach outside Tangalle. Korean Air flies nonstop to Seoul from 11 North American gateways (Atlanta, NYC, and L.A. routes use new A380s), with connecting nonstop service to Sri Lanka on select days. Cathay Pacific offers daily nonstop flights to Hong Kong from eight cities in the U.S. and Canada, with connecting one-stop (Singapore) service to Sri Lanka on select days. Tailor your Sri Lanka escape according to individual interests (history, tea tasting), activities (hiking, cycling), group (family, honeymoon), and more with Remote Lands. 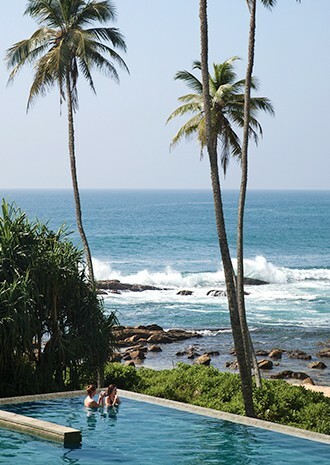 For families: a 13-day adventure from Colombo north to the interior and back to southern beaches. Kids tour temples, take elephant treks and jeep safaris, and tackle Class III white-water rafting, but there’s plenty of pool time too. 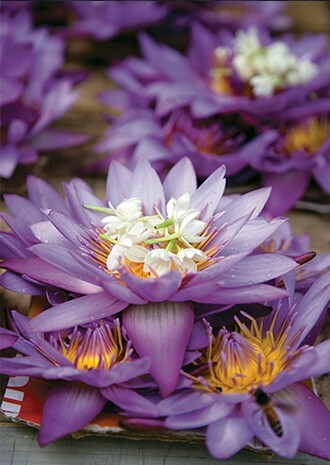 Virtuoso’s on-site tour operator in Sri Lanka puts a personal spin on visits to wood-carving and batik workshops, spice and tea garden tours, and temple and fort explorations, which are hosted by local authors, photographers, botany professors, and artists. Its 12-day introduction to the island includes the above activities, as well as an elephant safari in Minneriya National Park and a train ride through the hill country, and spices things up with an extravagant dinner featuring 20 different curries. Families make a leisurely clockwise circle of some of the island’s best attractions—including Sigiriya’s fortress, with its intact sixth-century frescoes, and Galle’s historic fort, both UNESCO World Heritage sites—on Cox & Kings’ 12-day trip. Kids will love Kandy’s elephant orphanage, and Amanwella’s crescent of sandy beach near Tangalle might just be one of the most beautiful sand spits in the country. Absolute Travel’s 14-day itinerary ticks off the must-sees (Temple of the Tooth, Lion Rock, Kandy and its botanical garden), then sets out for activities such as jeep safaris in flamingo-rich Bundala National Park and Yala National Park, the latter known for its leopards. Surf lessons? Just ask in Ahungalla. Originally appeared in Virtuoso Life magazine, March 2014.